Allong with the JCM900 mods I designed in 2015 I also designed a mod for the Marshall JCM2000 TSL60. This mod will open up the sound, increase the gain and add tunefull deep bass. 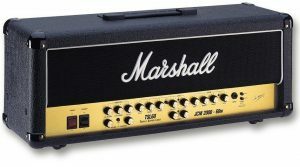 It is less invasive than the JCM900 mods, since these amps don’t have that dreaded diode clipping and are allready 100% tube driven. If you feel confident working in amps, you can do this in a couple of hours. If not, I am happy to do the mod for you for € 99,-.